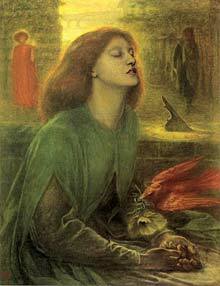 A musical telling the true story of artist’s model Jane Burden, brought up in extreme poverty in Oxford, who married the Pre-Raphaelite artist William Morris and became the lover/muse of Dante Gabriel Rossetti. Book and lyrics by Teresa Howard, music by Steven Edis. The music has heavy flavours of English and Celtic folk. The show was seen in a public showcase at the Oxford Playhouse a few years ago, and had its first fully staged production at the Camden People’s Theatre in early 2016, given by the students of the UCLU Musical Theatre Society. It’s still awaiting a full professional production! 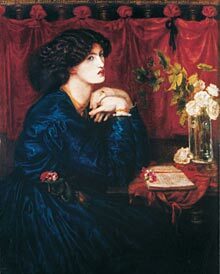 Two paintings of Jane by Dante Gabriel Rossetti.